The sudden finish used to be the sole property of Brazilian star Lyoto Machida. 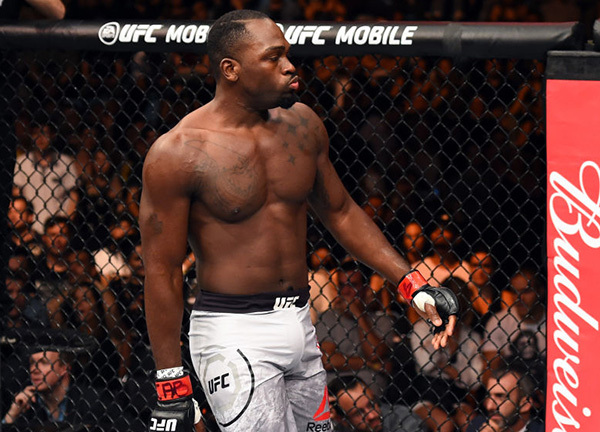 But Saturday night at Ginasio do Ibirapuera in Sao Paulo, it was Derek Brunson scoring the spectacular knockout, as he spoiled the return of “The Dragon” via first-round knockout. The fight was Machida’s first since June 2015, after which he served an 18-month USADA suspension for the use of a banned substance. It looked like a typical Machida fight in the early going, with the former light heavyweight champion landing some solid counters while darting out of trouble before North Carolina’s Brunson could land anything of significance. But just before the midway point of the opening frame, a wide left hand by Brunson hit the mark, with another left following right behind it. As Machida stumbled to the canvas, Brunson was all over him, with a series of lefts bringing in referee Osiris Maia to stop the fight. The official time was 2:30 of round one. “I’m ready for some big fights,” said Brunson, whose last six wins have come by knockout. With the win, the No. 7-ranked Brunson moves to 18-5. Belem’s Machida, 39, falls to 22-8.